Are you looking to hire a liquid screed pump? 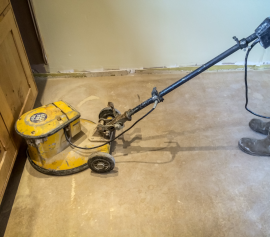 Well, look no further here at UK Screeds Ltd not only do we provide a full laying service we also provided a professional screed pump for hire only service to any sector of the building trade including the DIY trade and even existing liquid screed installers throughout the UK. Why Hire a Pump for Liquid Screed? 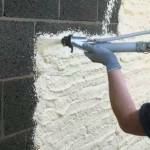 Liquid Screed pump hire is a cost-effective and cleaner way to place screed where you need it quickly and efficiently. Is your site on a steep slope, down a very narrow street or behind a row of terraced houses? Are you worried about the risk to the surrounding area of spills or impact damage? 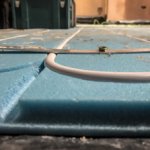 Pumping liquid screed is ideal for locations where the site is awkward to access. These can include basements, office blocks, apartments and much more. 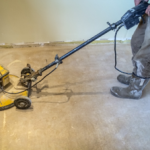 Pumping liquid screed is a lot faster and cleaner than transporting screed than using the old-fashioned methods by wheelbarrow or dumper truck. You do not have to worry about ramps, mess or any impact damage. 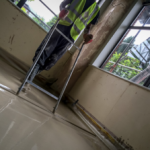 We can pump any type of liquid screed or grout with an aggregate size up to 10mm, in a fraction of the time it would take by other methods we even supply your liquid screed upon request. 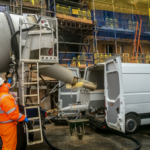 All of our pump operators are CPCS approved pumping specialists and have many years’ experience in pumping screed throughout the UK. On the day the pump operator will work closely with your screed supplier to make sure your pour runs smoothly on the day. 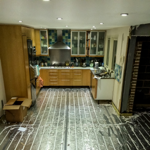 So, if you want to take the dirt and the slog out of laying screed give us a call and we’ll be happy to offer any help and assistance you may need. It’s important to make sure where the screed pump is parked there is enough space for a standard mixer truck to be backed onto the pump. 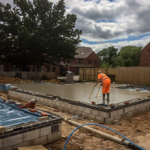 After establishing where you’re going to put the pump we will then need to know the distance from the pump to the furthest part of your pour will be and approximately how many cubic meters of screed you will be pumping. Please note it’s also important you give us the correct information before we arrive so we have the necessary equipment with us giving you full customer satisfaction on the day. HAVE QUESTIONS ABOUT OUR SCREED PUMP FOR HIRE? ASK OUR EXPERTS.